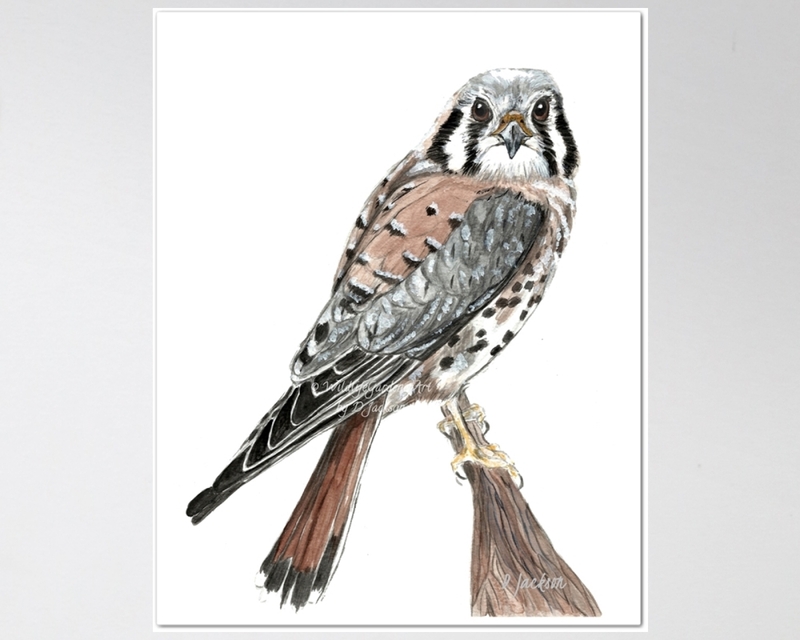 American Kestrel art print from my original watercolor painting. Also known as the Sparrow Hawk, our smallest native hawk. 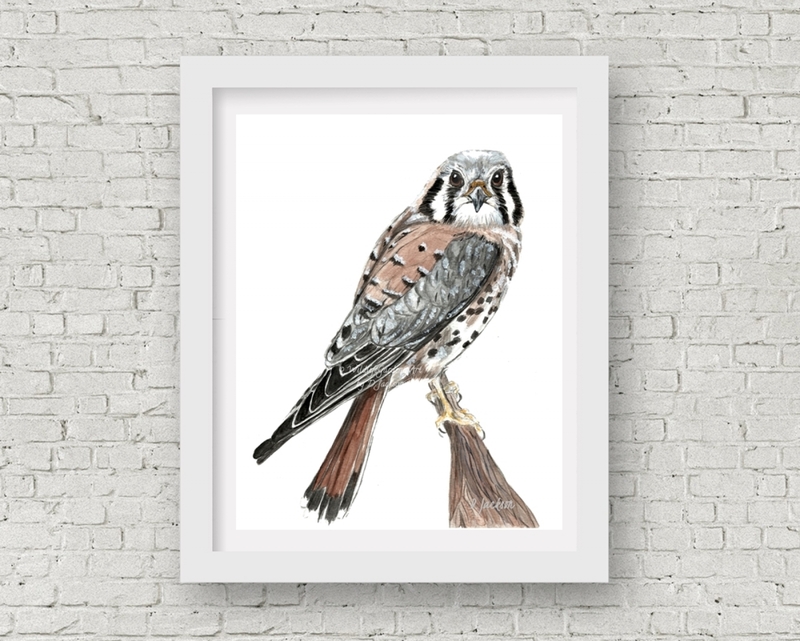 Inspired by the Kestrels that visit us every day and often perch outside our kitchen window. This print will add a touch of nature to many decors - from modern to urban farmhouse.